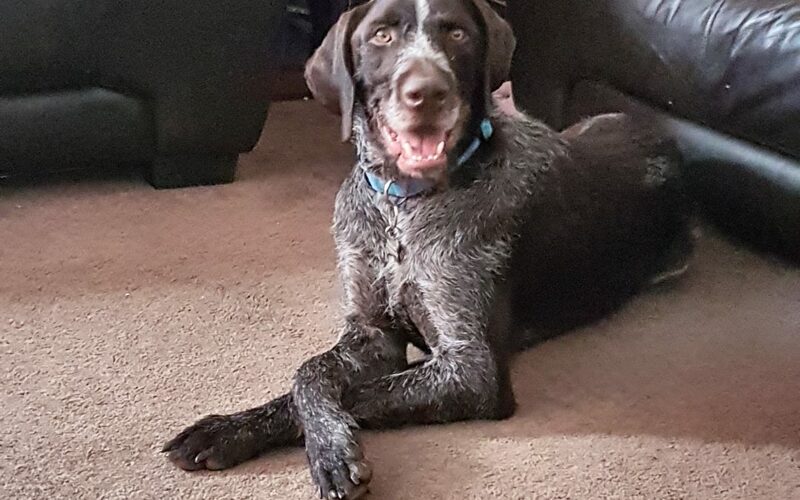 We would like to say a huge thank you for allowing us to adopt Barrett the wire haired pointer two weeks ago. He is a lovely natured dog and well trained dog. He has settled in to our home beautifully and is definately one of the family already. He has two lovely energetic children to play fetch with and a pool to cool down in in the afternoon, which has been really useful this week.